Occupational therapy is available to clients receiving low vision rehabilitation services through the Forsythe Center. 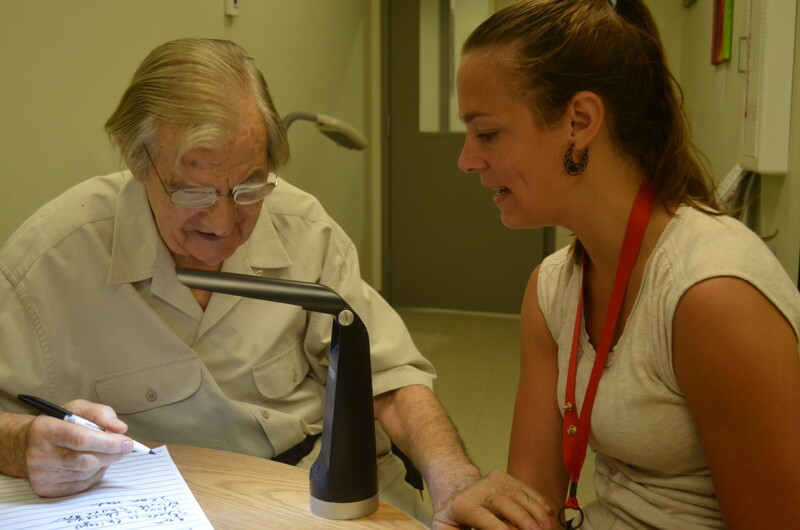 Our occupational therapy services help clients learn adaptive techniques for completing everyday tasks, maximizing their remaining vision and overcoming the challenges of vision loss. Our specialized occupational therapists develop individualized treatment plans to meet the personal goals of each client. Please consult your insurance provider to determine whether occupational therapy services are covered by insurance.